GOVERNMENT must investigate the motives of people masquerading as spokespersons for the Mbundas in Western Province because their real motive is to cause disharmony among the people of the region, a Mbunda historian has charged. Mr Goodson Ndumba said the people who were allegedly speaking on behalf of Mbundas in Western Province or the so-called Mbunda Royal Establishment were liars and they were the ones actually bringing confusion in the area for reasons best known to themselves. Mr Ndumba said these so-called activists should not blame the present Government for ignoring them because they had failed to adhere to the realities of history of how the Mbundas found themselves in that part of the country. “It makes sad reading to hear that some Mbundas today are driving an agenda to try and bring division for reasons best known to themselves when they are very aware of what history entails and yet they want to put blame on others,” he said. Mr Ndumba said any aggrieved Mbundas must iron out their differences and stop accusing the Government and the Barotse Royal Establishment of intimidation. He said the Government was aware of ‘‘how things were done traditionally’’, saying that was why the State did not respond to issues of tradition because they were none of its business. Mr Ndumba wondered why only a group of few Mbundas were bringing ‘‘discord’’ in Western Province when their tribesmen were quiet. “Such people must be investigated thoroughly so that their motive is exposed because they are creating confusion in the country. “Everyone knows how the Mbundas came in and they should not take straight forward things for granted because we value peace; we live with people, we know how Mbundas were received and also in those villages they found people already there,” he said. He said remarks made on the issue by the Cheke Cha Mbunda Cultural and Writers’ Association that revives and protects the cultural heritage and tradition of the Mbundas were correct and that all the Mbundas should heed its advice. 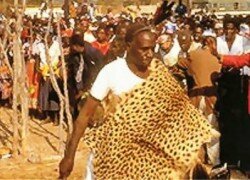 The Cheke Cha Mbunda stated last week that King Mulambwa of Barotseland received the Mbunda chiefs and their people when they arrived from Angola and that he gave them land on which to settle and jurisdiction of their chiefdoms and as such the Litunga had powers to install Mbunda chiefs. Mr Ndumba said all the chiefs in Western Province represented the people residing in their areas and not tribe. He said it was unacceptable that one particular group of people should tarnish the Mbunda tribe; saying one chief cannot represent all the Mbundas. A group of Mbundas under the so-called Mbunda Royal Establishment were up in arms arguing that their tribe was marginalized in Western Province and wanted Government to intervene by removing some civil servants who appeared to be biased towards other tribes because they were suspected to be drawing support from the BRE.